Some time ago, Reina noticed that she’d been cheated out of some money. She’d been given a 100 yen coin in change at some store she’d been to, only to later realize that the coin looked and felt like something entirely different from the usual 100 yen coin — it turned out to be a Korean won. She told her mom and her little brother about this unfortunate incident and left the coin on a table at their house for them to marvel at. Now, several days after the fact, the coin apparently remains in place on the table exactly where she left it — no one cares. Speaking of her own experiences regarding studies, Nee-san reveals that she hated it so much, she developed atopic skin because of it: when she tried to study, her body just got unreasonably itchy. When she stopped studying, however, her skin healed immediately. She wishes students struggling with their exams all the best. How do the members of LoVendoЯ spend their New Year’s? Nee-san doesn’t do anything: she simply stays indoors, doesn’t watch Kouhaku and doesn’t even eat the traditional New Year’s soba which the others say is a waste — the soba is the funnest part of New Year’s. 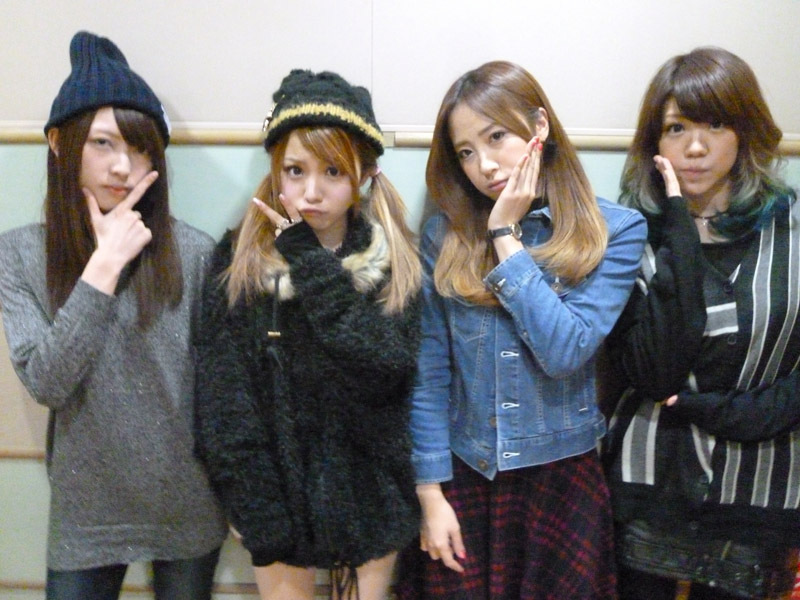 For Reina, her way of spending the New Year’s is very different now that she doesn’t appear on Kouhaku every year. She remembers being really happy the first year she got to spend the holiday at home with her family and not have to perform. 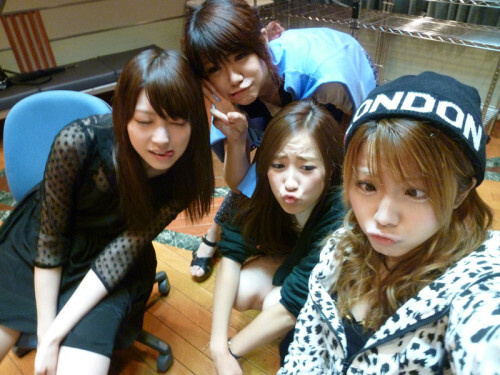 One year she even got together with Mitsui Aika and Umeda Erika at her house and visited a shrine together with them. Nowadays, though, she’s once again busy performing at the Countdown Live every year. Henkka: This summary was contributed by Krv who may or may not also do episode #60 — do leave a comment to pressure and shame this good man into translating more of this show for us. Reina asks the others what they do to stop themselves from feeling the heat. Yuki says that she just eats ice cream or stands by the cooler, whereas Marina goes outside simply because it is hot. She goes fishing, watching baseball, and racks up a pretty impressive tan. Yuki points out that if Marina and Reina stood next to each other they’d provide a nice contrast. Marina wonders how evenly spread her tan should be, because her legs and face aren’t tanned at all. She asks Reina if she has any advice. She doesn’t. Takeuchi Akari and Nakanishi Kana are guests on the show. It’s the first time Marina has met Kana. She already calls Akari Takechan, but wants to know what she should call Kana. Kana tells her to call her Kananan. Kana: Susukino is about a town in Hokkaido. It’s called Susukino. It’s really sad. Lyrically it’s a new kind of song for S/mileage. Reina: The lyrics are sad too? Takechan: Indeed, there’s a fight between lovers and the girlfriend jumps off to Susukino kind of thing. Reina: Jumping off? Like diving? Marina: What kind of situation is that? Reina: I’m gonna jump! BAM!